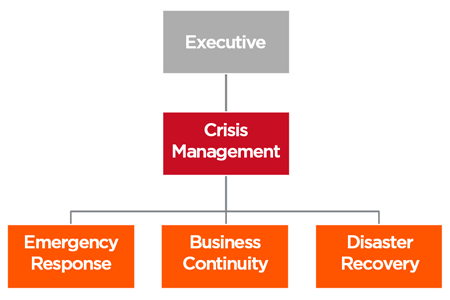 Crisis management is the application of different strategies designed to help an organization deal with a sudden and significant negative event. Before a crisis strikes, business owners should always think about how a disaster would impact their employees, customers, suppliers, the general stakeholders and their company’s value. A crisis can strike any company anytime, anywhere. Getting an advanced planning in place is the key to survival. Crisis management is a critical organizational function. Failure can result in serious harm to stakeholders, important losses for an organization, or even worse end its existence! Public relations practitioners are an integral part of crisis management teams. FINBRAIN-ITC did assist some companies which faced such an event. 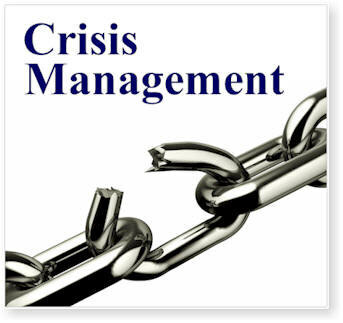 Best practices and lessons gleaned from our knowledge of crisis management would be a very useful resource should you ever encounter a crisis. A crisis can occur as a result of an unpredictable event or as an unforeseeable consequence of some event that had been considered a potential risk. In either case, crises almost invariably require that decisions be made quickly to limit damage to the organization. For that reason, one of the first actions in crisis management planning is to identify an individual to serve as crisis manager. Never forget to involve as many stakeholders as possible in all planning and action stages. A disaster recovery plan (DRP) describes how an organization is to deal with potential disasters. Just as a disaster is an event that makes the continuation of normal functions impossible, a disaster recovery plan consists of the precautions taken so that the effects of a disaster will be minimized and the organization will be able to either maintain or quickly resume mission-critical functions. Disaster recovery is becoming an increasingly important aspect for every company. Appropriate plans vary from one enterprise to another, depending on variables such as the type of business, the processes involved, and the level of security needed. DRP may be developed within an organization or purchased as a service. It is not unusual for an enterprise to spend 25% of its information technology budget on disaster recovery.